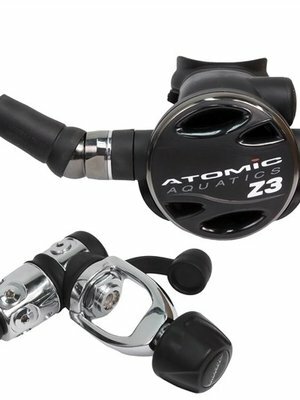 The regulator and instruments are the heart of your life support system for diving. 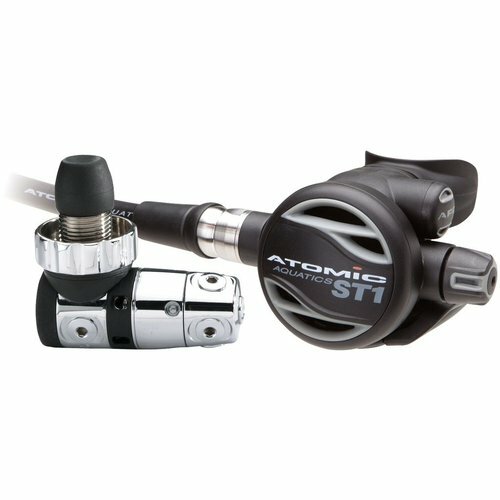 Want maximum protection for your regulator set-up, maybe with long hose, dive computer, and other instruments? 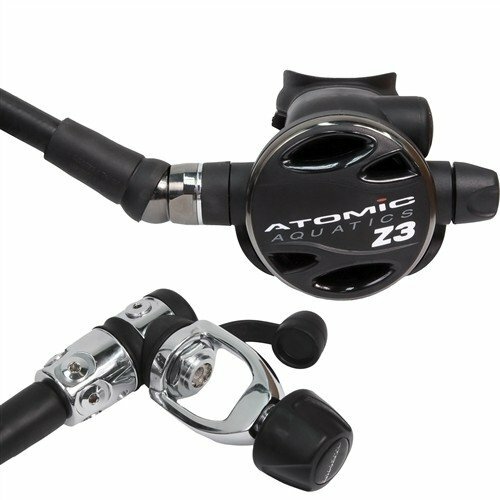 Don't skimp on protection, use the Atomic Padded Regulator Bag. 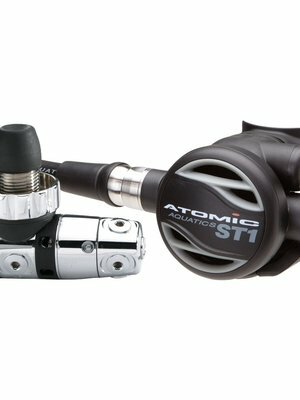 Keep your regulators and expensive equipment separate from the rest of the gear. This bag is large enough to hold regulator, gauges, and an octopus. 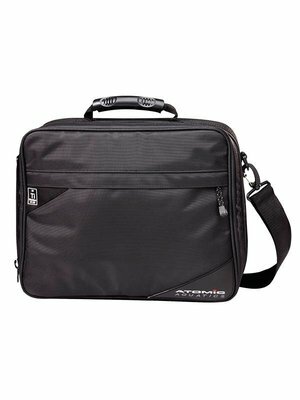 Fully padded bag measures 16.5" x 11.5" x 5" (42 cm x 29 cm x 13 cm) with a volume of 1,129 cubic inches (18.5 liters) and is made of rugged 1050 Denier nylon. Bag features a reinforced, contoured rubber grip covered carry handle for comfort while carrying and comes equipped with a detachable, padded shoulder strap for ease of transport. 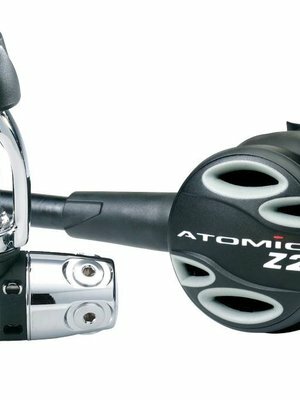 The Atomic Padded Regulator Bag boasts a padded internal compartment. The main compartment also features three more storage areas: a large, hook and loop closure pocket, a smaller mesh zippered pocket, and fully lined zippered pocket. 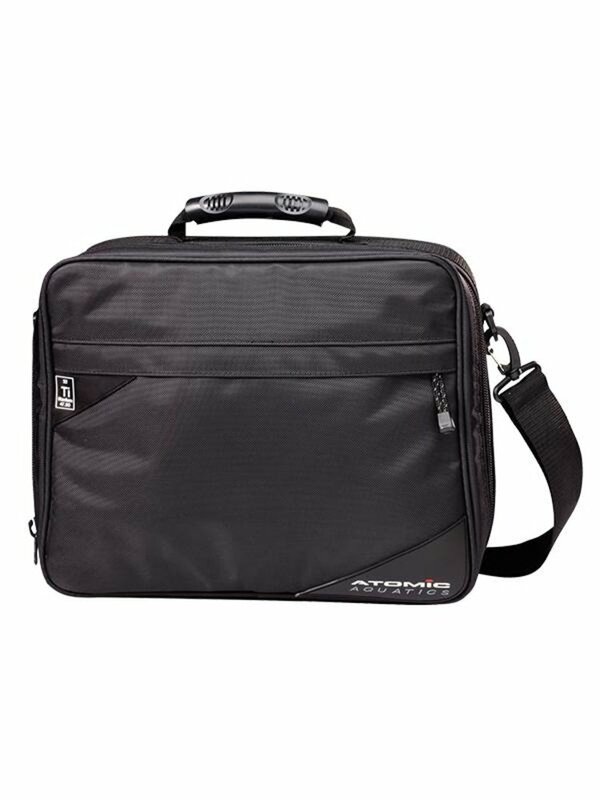 There is an external zippered compartment for items you need close at hand. 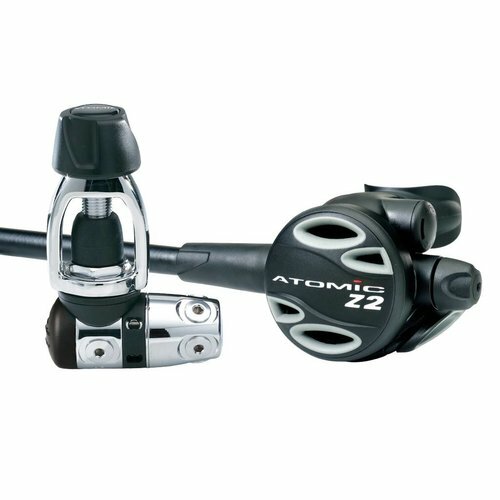 Regulator bag is black in color.